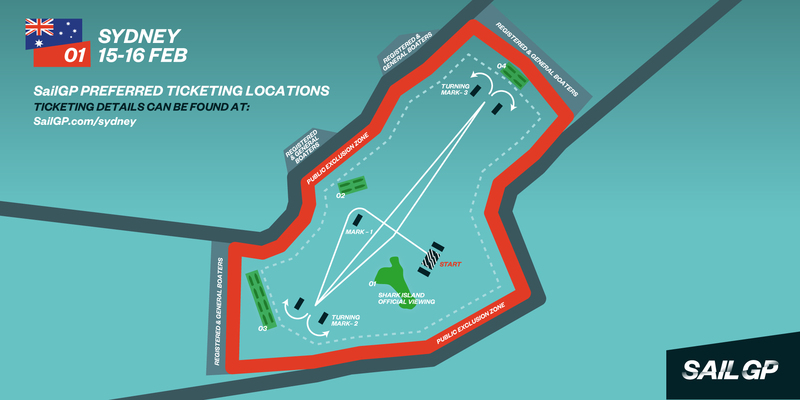 Literally in the middle of the action, Shark Island will be transformed into an exclusive spectator experience. The Island has the best vantage points to see the six teams battle it out in an afternoon of action-packed racing. Enjoy the action of live racing and the comforts of a big screen for action replays, live commentary, special guests chill-out with the Island's own DJ. Along with dedicated shore-to-shore transfers from Man O War steps, you will receive a supporter flag to cheer on the Australian team. All-inclusive bar and a delicious, home-grown gourmet Island hamper. Please arrive at 1.20pm on Friday 15 February and 12.50pm on Saturday 16 February to ensure you do not miss your ferry. To provide the best experience possible, our ferry departure times are strictly observed. We cannot wait for late-comers so please ensure you allow extra travel time on your journey to the Man O War Steps to avoid delays. Due to the RMS enforced exclusion zone, no water Taxis or private vessels will be able to cross through to the official viewing area on Shark Island after 3 pm on Friday 15 February and 2pm on Saturday 16 February. Missing the last ferry may result in you being unable to access the official viewing area on Shark Island. You will not be provided with a refund for missing the scheduled ferry.